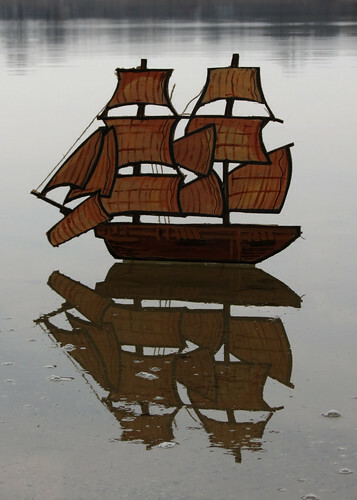 As I was drifting off to sleep the other night I had this odd idea to stick a bunch of one dimensional cardboard boats in the lake. (This is my experimental boat). I have to say I'm pretty pleased with the results given that it took me an hour and 45 minutes to draw, paint, cut, assemble and photograph… just before it started to rain.